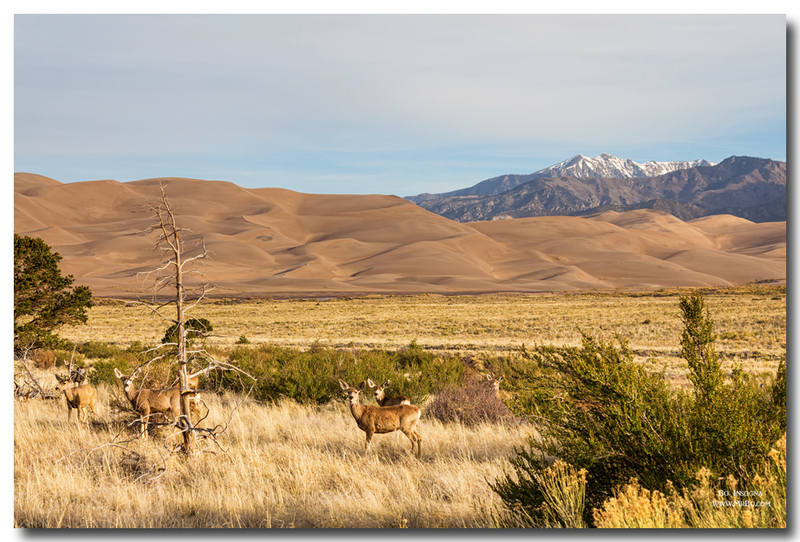 A heard of deer grazing on the springtime plains of the Colorado Great Sand Dunes National Park and Preserve. Wildlife of the park and preserve includes pikas, bighorn sheep, black bears, mountain lions, beavers, badgers, bison, pronghorn, birds such as ptarmigan, peregrine falcons, owls, eagles, and herons, and reptiles such as lizards and snakes. Fish encountered in the park’s streams include the Rio Grande cutthroat trout and suckers. Insects such as beetles are common as well. Scenic winter season view from Boulder Reservoir in northeast Boulder County of the Colorado Rocky Mountains Front Range with freshly dusted with snow covering the Flatirons, Boulder, Colorado, with a mirror like reflection in the water. Boulder Reservoir is a 700-acre, multi-use recreation and water-storage facility, owned and managed by the City of Boulder. A aerial view of Mono Lake, a view of the planet as art. Fine art nature landscape photography prints, decorative canvas prints, acrylic prints, metal prints, greeting cards and stock images by By James Bo Insogna (C) – All Rights Reserved. The top of Boulder Canyon where the road comes up to the dam. Wind blowing across the Nederland Barker reservoir roand and dam or I dare say the Dam Road.